Totem Acoustics are not incredibly well known in the UK but in our opinion they should be because they make extremely good, musical loudspeakers that are compact and suit most rooms. Neither are they fussy about room placement and are easily driven by most decent amplifiers. The Kin Mini, Dreamcatcher and the Mite are extremely small and yet offer incredibly detail and tons of musicality. Another thing our customers like is the quality of the bass. Although they are small they produce far more bass than you might expect. We do extremely well with them when matched with the Rega electronics or the Naim Uniti series. Being small and good on placement means they fit well into UK homes. Being Totem however they don’t sound small. 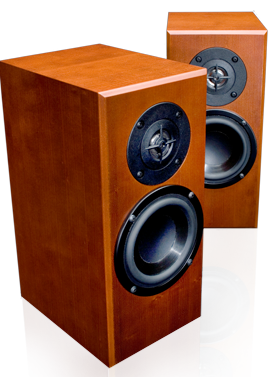 Totem Acoustics also make their speakers in a good range of finishes. The Arro and Sttaf are extremely slender column designs that blend into most rooms and yet once again produce accurate and detailed reproduction of music. They’ll fill the room without making an immense visual impact. Totem Acoustics are Canadian speakers and they use good solid engineering and careful choice of components and materials to make speakers which are simple and enjoyable to listen to. Click here to find out more about Totem Acoustics products.